Are they good or bad for my garden? 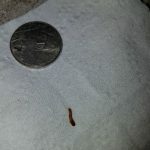 So, why are we hesitant to confirm these are mealworms? Well, mealworms are rarely found in the wild. They prefer human environments, like a kitchen or pantry, where they can feed on stored grains. When they are found in nature, they live under rocks and logs, where they eat decaying wood and leaves. 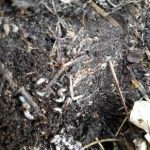 Of course, the creatures our reader found could just be mealworms that live in the soil, but we aren’t sure. 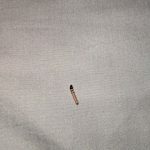 Another creature that has a close resemblance to the specimens our reader found are click beetle larvae, a.k.a. 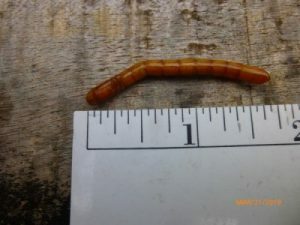 wireworms. 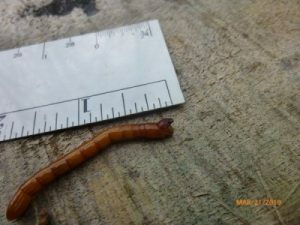 Wireworms are similar in shape and size to the creatures in the photos, and they also have 3 pairs of prolegs. 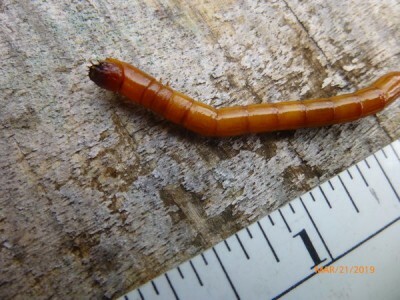 In addition, wireworms live underground and feed on germinating seeds, roots, bulbs, and tubers. 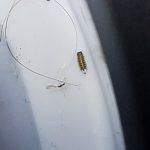 So, they are more likely to be found in a garden than mealworms! So, which is it? 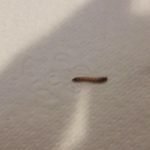 Mealworms or wireworms? We are torn! We think the creatures look more like mealworms but behave more like wireworms! 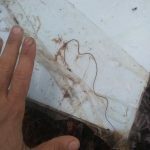 Either way, since she finds these specimens so sporadically and didn’t mention any damage to her garden plants, we don’t think they are something to worry about! 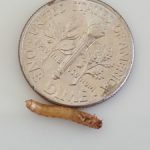 To wrap up, we aren’t sure if the specimens our reader found in the soil are mealworms or wireworms! We wish her the best of luck with her garden! 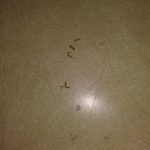 We aren't sure if the specimens our reader found in the soil are mealworms or wireworms! We wish her the best of luck with her garden!